The INKCARCERATION Music and Tattoo Festival recently announced its return to the historic Ohio State Reformatory, a.k.a. Shawshank Prison, in Mansfield, OH, on July 12, 13 and 14. This year’s massive line-up will be led by none other than colossal rock bands Shinedown, Godsmack and Five Finger Death Punch. Quickly becoming one of the nation’s premier rock festivals, INKCARCERATION will feature over 30 bands on two outdoor stages, 70 tattoo artists, reformatory tours, gourmet food trucks, the best drinks and for the first time, the haunted house attraction, Escape from Blood Prison. Today, INKCARCERATION has revealed the festival’s individual daily line-ups! In addition, single day tickets are now on sale via https://inkcarceration.frontgatetickets.com. INKCARCERATION Music and Tattoo Festival‘s incredibly unique festival setting – the historic Ohio State Reformatory – is considered one of the most haunted buildings in the country and is the setting of the 1994 cinematic classic/IMDB’s highest rated movie of all time, The Shawshank Redemption (celebrating its 25th anniversary this year). The Ohio State Reformatory is centrally located about an hour away from Cleveland, Columbus, and Canton/Akron, Ohio and within a three-hour driving distance of Toledo, Dayton, Cincinnati, Youngstown, Pittsburgh, Pennsylvania, northern West Virginia, Michigan and southern Ontario. Additionally, INKCARCERATION features tent and RV camping for a true outdoor festival experience! 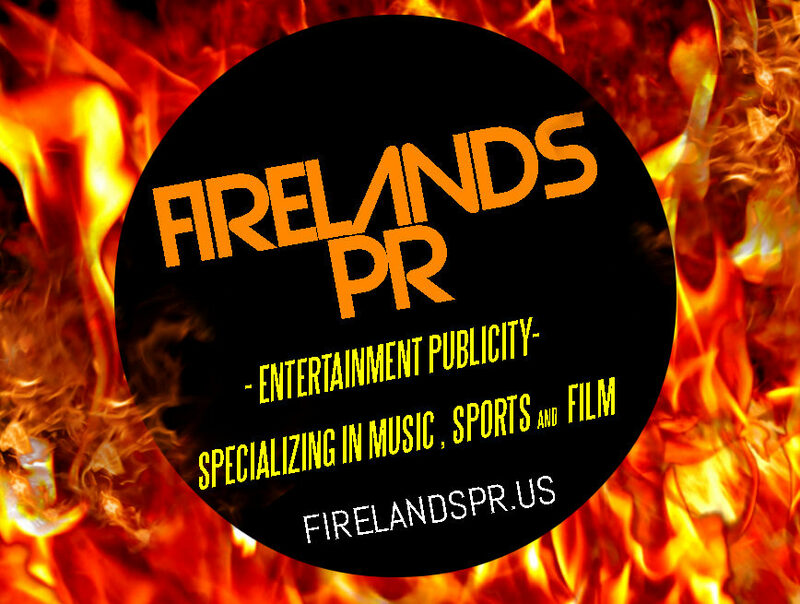 Stay tuned for more details coming soon regarding gourmet food trucks and more. 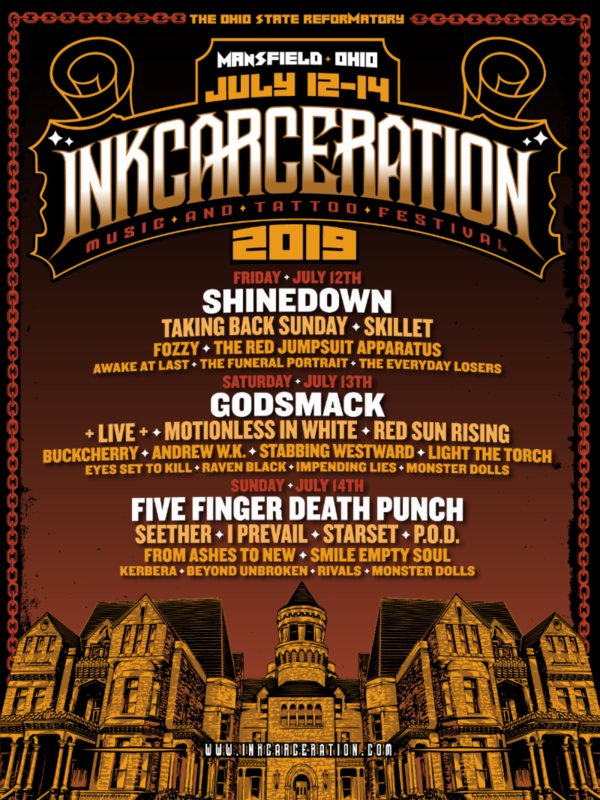 With the concert happening outside, INKCARCERATION will feature 70 local and regional tattoo artists tattooing all weekend inside the reformatory. Appointments are recommended if there is a specific artist you would like to work with. Visit www.inkcarceration.com/tattoo for information on how to book your appointment and to see a full list of featured tattoo shops, companies and artists. Tattoo competition details and judges will be announced soon. Escape from Blood Prison is the annual Halloween haunted house attraction hosted at the historic Ohio State Reformatory in Mansfield, OH. It typically runs from the end of September through early November every year, but INKCARCERATION will make this spooky attraction available for festival goers to experience all weekend long in 2019! Once Blood Prison takes over the reformatory, the enormous facility is filled with bloodthirsty inmates waiting for victims to enter and try and make it through the facility alive! VIP & CAMPING PACKAGES – SOLD OUT! Visit GovX here to buy tickets!